Set up in 1701 Chester Monthly after having been an indulged meeting since 1686, Early meetings were held in the homes of Bartholomew Coppock and John Bowater until Joshua Hastings donated land to the meeting and a log meeting house was erected about 1700. Part of the land was set up as a burial ground. In 1770, a gray stone meeting house was built. 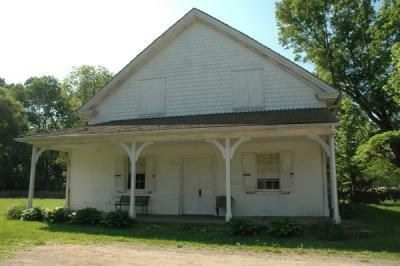 At the time of the Separation, the Hicksite branch retained the property of the meeting and the Orthodox branch built a meeting house of their own further up Middletown Road that is the modern home of the Middletown Preparative meeting. The Hicksite branch is now the modern Middletown Monthly meeting under Concord Quarterly.